From March 26th ~ June 30th, the Tokyo Disney Resort will offer special guest rooms to promote the release of KINGDOM HEARTS 3. Located in the Disney Ambassador Hotel, these rooms are decked out with all sorts of themed artwork and furniture to transport guests into the world of Kingdom Hearts. 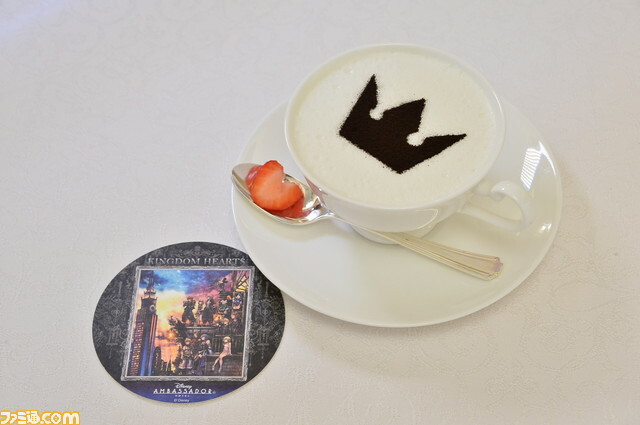 Famitsu recently had the opportunity to check them out, and get a preview of the special Kingdom Hearts-themed menu that will be offered in the hotel lounge and deli cafe from March 26th ~ June 13th. 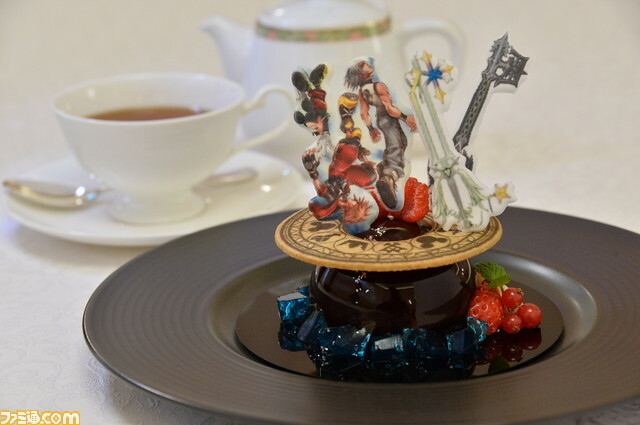 A Kingdom Hearts Dream Drop Distance cake set featuring its key visuals. A bitter chocolate mousse filled with an acidic passion fruit coulis, with a crunchy chocolate that adults are sure to enjoy. It's surrounded by sea salt jelly. Offered at the Hyperion Lounge. 2000 yen. Available from 17:00~22:00. Available at the Hyperion Lounge. Hot milk tea (Assam*) mixed with white chocolate and raspberry syrup, it's a rather strange flavor. A dusting of cocoa powder in the shape of the series' signature crown on top, accompanied by a heart-shaped strawberry. Comes with an original coaster. *A type of black tea. Offered at the Hyperion Lounge. 1300 yen. Available from 17:00~22:00. 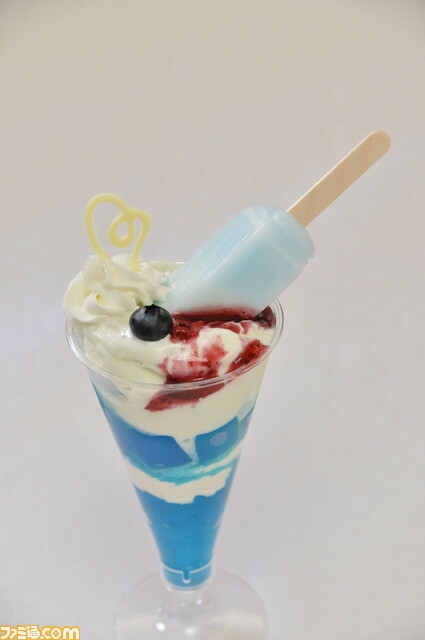 A parfait with an impressive presence containing Sea Salt Ice (soda-flavored ice cream bar coated in sea salt syrup), nata de coco and aloe jelly. The acidity of the yogurt-flavored whipped cream is quite refreshing. Offered at the Tic Tac Diner. 1000 yen. Available from 15:00~22:00.